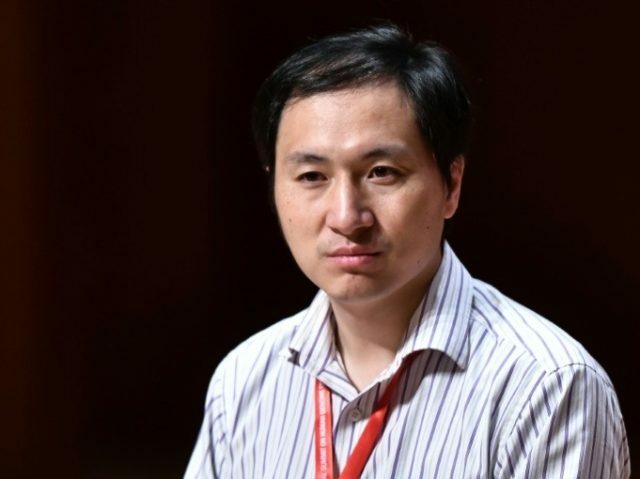 He Jiankui, the Chinese scientist who claimed recently to have successfully edited the genes of twin infants to reject HIV, appears to have gone missing since delivering remarks at a Hong Kong scientific conference, the South China Morning Post reported on Monday. He reportedly embarked on his experiment without the express permission of the Chinese Communist Party. He published videos on YouTube in late November introducing “Lulu” and “Nana,” two twin girls who he claimed were genetically edited to rejected HIV, the virus responsible for AIDS. Scientists around the world have deemed the CRISPR technology used in the experience highly risky, as there are little safeguards ensuring that only the gene targeted is edited, and no research confirming that such editing only adds or eliminates what the scientist wishes. If confirmed to have occurred, He’s experiment would be the first of its kind on human beings. The Post notes that He’s whereabouts are currently “unknown,” though the Chinese government has not claimed to have arrested him. Beijing has a long record of “disappearing” individuals it deems to defy or inherently pose a threat to the communist regime, from local priests spreading the Gospel to nationally acclaimed movie stars. The newspaper reached out to He’s academic institution, Southern University of Science and Technology (SUSTC) in Shenzhen, but did not receive any concrete information on the scientist’s whereabouts or freedom status. “We cannot answer any questions regarding the matter right now, but if we have any information, we will update it through our official channels,” a spokesperson for the university told the newspaper. The Post reports that it chose to reach out to the university after unnamed “media outlets” claimed that He was under house arrest after speaking at an event in Hong Kong last week. At that event, the Second International Summit on Human Genome Editing, He argued that “a natural protection against HIV is carried by as much as ten percent of the population in several European countries,” and his work had found a way to tinker with human genes to make them create this protection without having naturally come upon it. The scientist also insisted that the parents of the children were informed of the experimental nature of what he did to their daughters and consented. The summit’s organizers issued a statement after hosting He declaring their belief that “proceeding with any clinical use of germline editing remains irresponsible at this time,” but that “making changes in the DNA of embryos or gametes could allow parents who carry disease-causing mutations to have healthy, genetically related children” and is worthy of the establishment of “rigorous, responsible” guidelines for how scientists should approach the study. The tenor of the People’s Daily article was notably missing from Chinese state media’s coverage of He’s latest work. The Chinese Ministry of Science and Technology has vowed a thorough probe into the matter of who, if anyone, approved the research, and how to create a national oversight infrastructure to ensure that scientists cannot conduct research that the Communist Party does not approve. The government also banned all research related to gene editing. If the Chinese government confirms He’s apprehension, he will join a long list of high-profile Chinese citizens arbitrarily detained and “disappeared” without clarity. At the top of that list is Meng Hongwei, the rightful president of Interpol, who traveled to his native China to visit family and never returned. Chinese authorities abruptly issued a statement saying he was under arrest for unspecified corruption charges and sent Interpol what they claimed to be a letter from Meng resigning from his position at the head of the international agency.